If Thanksgiving wore you out and you can't even imagine where you'll find the strength to decorate your home for the remaining holidays this year, you're not alone. 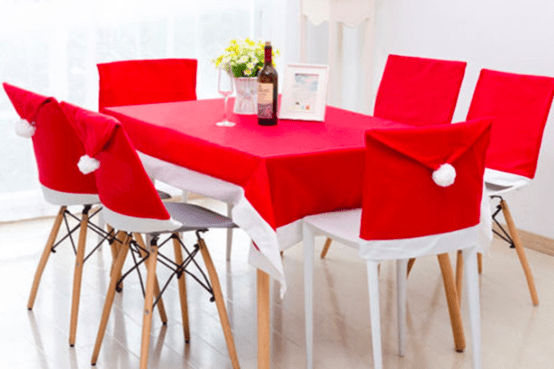 You're also in luck: Plenty of holiday home decor items exist these days that cater to the lazy reveler, making spirits bright without breaking your back. Disclaimer: We're not saying these adornments are the classiestdecorations you'll ever see. But there's also something mighty enticing about the fact that ordering these things online represents the bulk of the work involved here. So, if you're wishing for a simpler holiday season, look no further than this shopping list! Pop-up Christmas treeIf you're tired of lugging in or assembling your Christmas tree only to then spend hours trimming it, this Thomas Kinkade Pop-Up Christmas Tree ($199.95, Hammacher Schlemmer) will allow you to knock those dreaded tree duties off your holiday to-do list in record time. This one-piece beauty doesn't exactly "pop up" in the jack-in-the-box sense, but it's the next best thing. You essentially assemble a 6-foot pole, then "hang" your tree around it. Even if you take your time, you'll still have this fully decorated tree working its Christmas magic in minutes. And just think of how much room you'll save on storage! There's nothing cozier than a fireplace during the holiday season, but don't count on getting too much warmth from this cardboard hearth ($9.98, Amazon.com). Not too shabby for photo opps (it might look plausible from a real distance), this gives a whole new meaning to the concept of "faux brick." Furthermore, there's no need to rush out and buy kindling—won't you sleep better knowing you won't burn down your home with a few errant embers? Too lazy to even order a stand-up fireplace? Well, West Elm has you covered. 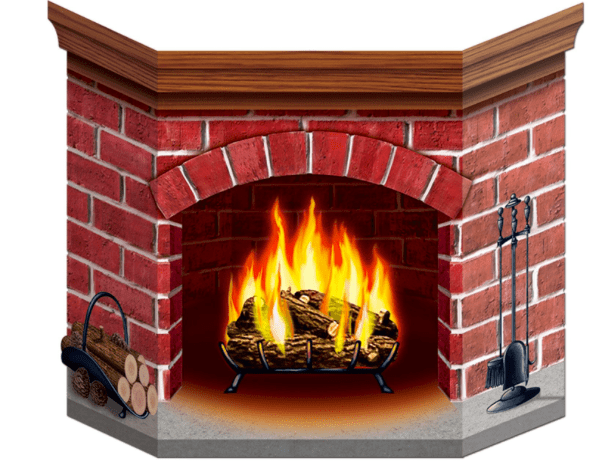 The usually stylish retailer is offering those who wish to bask in the glow of a good blaze this Yule Log YouTube channel, complete with four settings: modern, rustic, minimal, and luxe. We must admit, the crackling sounds are quite authentic. More good news? These babies will "burn" for up to three solid hours. So put that on your flat screen and space out without having to stoke a single log. No one wants to be that neighbor with the bah-humbug house—you know, the lightless, Grinchiest place on the block. 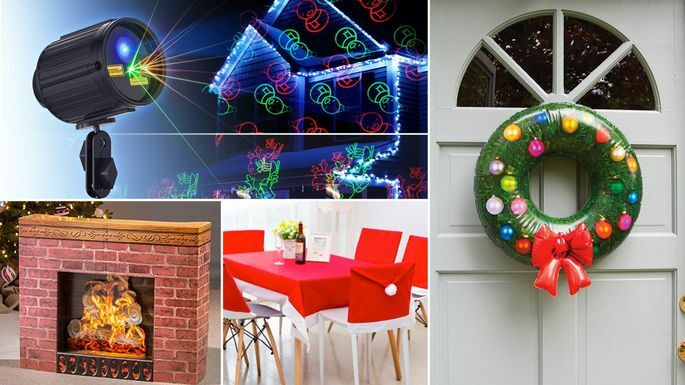 But if you're finding it hard to channel your inner Clark Griswold this year, let this holiday light projector ($25.98, Amazon.com) display laser lights all over your home's facade. Tired of going to the garden center to pick out wreaths only to toss them a few weeks later? 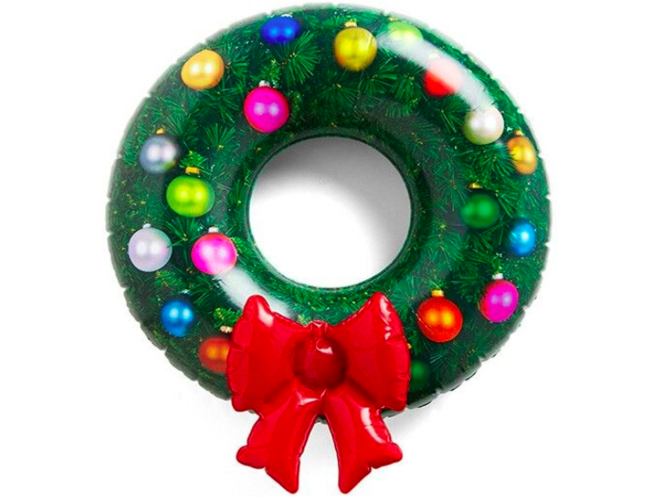 This inflatable wreath ($11.99, Amazon.com) comes with a repair patch, hang tab, and string. Buy it once and you're good for decades, leaving you with more time to devote to all of those Hallmark Channel Christmas movies. Few others than true Martha Stewart acolytes have the time and energy to put together a festive tablescape. These chair covers ($14.99/set of 6, Amazon.com) will get the job done for you. If you have to mix and match seat styles to accommodate all of your guests, no one will even notice you don't have a complete set thanks to these colorful accessories. 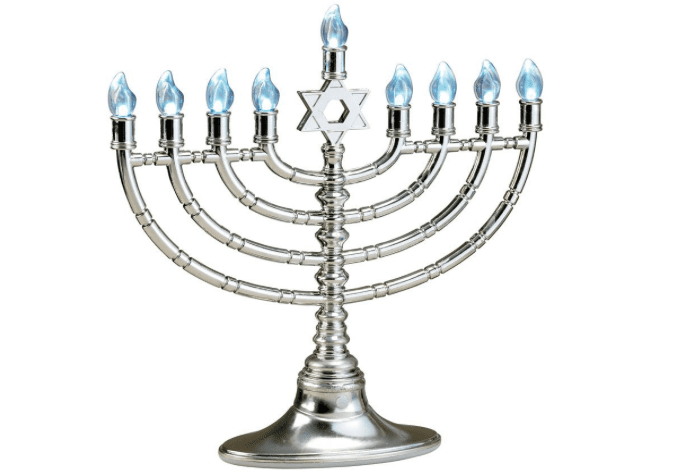 You can light this electric menorah ($30.99, Amazon.com) without rushing around to find matches or candles, or worrying about the young'uns burning themselves by getting too close. Instead, focus on more fun aspects of the holiday, such as latkes.